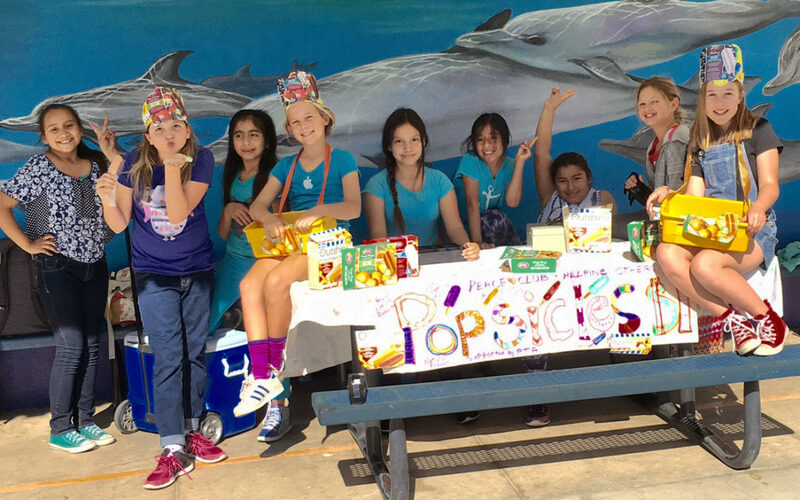 by Jake Frankel | May 31, 2017 | Featured, Food for People, Fundraising & Awareness, NewsTags: California, Juan Cabrillo Elementary, Malibu, school, U.S.
Like every week, this is the Friday afternoon popsicle sale at Juan Cabrillo Elementary, with the 10 shiny fifth-graders who make up the Peace Club. One girl sits at the center of the bench with the money box. She is the treasurer, in charge of handing change to the children, teachers, and parents who surround them. Occasionally, one child reaches into the cooler, pushes aside the ice, and pulls out the correct flavor. Zoe wanted the Peace Club to be a learning tool to encourage empathy and compassion. She’s been happy to find that the children who join are always enthusiastic and bursting with ideas. Members of the Peace Club decide who will receive the funds, and let everyone know why they are fundraising. 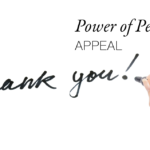 On May 10 Zoe put a check in the mail to FFP with the $700 the club has raised so this year. In addition to FFP, they sent a check to a veterans group in Los Angeles, helped cancer research at Saint Jude’s Children’s Hospital, cooked apple pies and corn bread for the homeless, purchased fruit trees for the school, assisted children who could not afford school supplies, helped support the school’s field trip and sleep-over camp, and raised funds to build a school in an Ethiopian village.